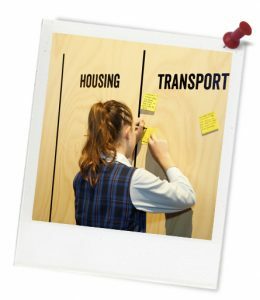 Quick summary: Students develop a final draft for the development of a site at their school. They begin by thinking about some of the ways other organisations and agencies conduct community consultation, and how it is used to generate and improve ideas for urban development/urban renewal/town planning. Students refine their own ideas for the development of their site and create a poster to share proposals through a gallery walk. Finally, students incorporate feedback from the gallery walk into their final idea and reflect upon their learning. Lesson developed in partnership with the UrbanGrowth NSW Development Corporation. Students understand how community consultation can be used to improve ideas for urban development/urban renewal/town planning. Students understand how community consultation can be used at different stages throughout the planning of a project. Relevant parts of Year 5 HASS achievement standards: Students identify and describe the interconnections between people and the human and environmental characteristics of places. They identify the effects of these interconnections on the characteristics of places and environments. Students work with others to generate alternative responses to an issue or challenge and reflect on their learning to independently propose action. They present their ideas, findings and conclusions in a range of communication forms using discipline-specific terms and appropriate conventions. Relevant parts of Year 6 HASS achievement standards: Students collaboratively generate alternative responses to an issue, use criteria to make decisions and identify the advantages and disadvantages of preferring one decision over others. They reflect on their learning to propose action in response to an issue or challenge and present ideas, findings, viewpoints and conclusions in a range of communication forms that incorporate source materials, mapping, graphing, communication conventions and discipline-specific terms. Level of teacher scaffolding: Medium – lead students in discussions, assist with refining and selecting final idea and poster creation. Resources required: Student Worksheet – one copy per student. Device capable of presenting a website to the class. Enough copies of the School Site Factsheet for small group work. Four copies of the Feedback Sheet. 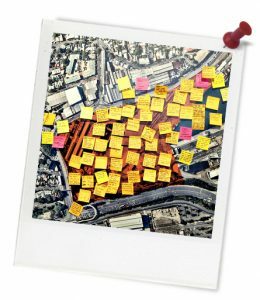 Keywords: The Bays, urban development, community consultation, poster. All photo images in this lesson are licensed to UrbanGrowthNSW. ... understand how community consultation can be used to improve ideas for urban development/urban renewal/town planning. ... how community consultation can be used throughout the planning of an urban development project. … discuss the process of community consultation in urban development/town planning. … communicate reasons why community consultation helps improve project outcomes. Thought starter: What do you think your community will want to be planned for your local area? 1. What did you see in this clip? What was happening in this clip? 2. What was interesting or surprising about this clip? 3. Why do you think the community consultation was done in this way? 4. Why do you think is it especially important to get kids involved in community consultation? 5. At what other stages of a project do you think you might want to get the community involved? How Can We Renew Our Site?